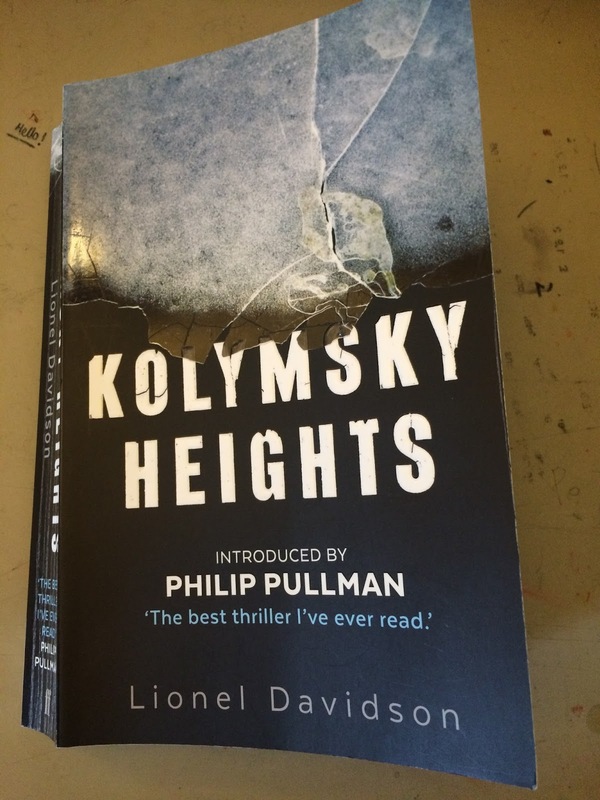 Lionel Davidson's Kolymsky Heights is a very cool thriller. Not in the sense that it might appeal to fashion-conscious readers but in the sense it's so brilliantly restrained. For instance, near the end Davidson tells us some startling information about what just happened to the hero and does it in brackets, which takes some nerve. It's also cool because it's set in Siberia, a part of the world I know nothing about other than it's cold. How factual is it? As Philip Pullman says in his excellent introduction, it doesn't matter whether Davidson went there to research the place, read all about it in a library or just sat there and made it all up. "The point at which the author's affection for the background exceeds the reader's interest in the foreground is the point at which the book is put down and the TV is switched on." Davidson, an English writer who died in 2009, never reaches that stage because, like The Day Of The Jackal , the action of his book is moving relentlessly forward all the time. I haven't been so impressed with a thriller since Thomas Harris's Red Dragon. I've put it on the list - and will swap you for Stephen King's (non horror) Mr Mercedes..
Lionel Davidson wrote several brilliantly gripping novels. Try The Chelsea Murders, a superb detective story published in the 1980s I think. It's superb. Thanks David for sorting my holiday reading. Finished "A Spy Amongst Friends" and now onto "Kolymsky Heights". Even managed to listen in to some of the Baldwin podcasts. In a way that's fated I am about to start working on a project on The Cold War and US-USSR Spying, so you recommendations couldn't have worked out better. I'm reading then on a new Kindle, which is a brilliant device but I had a few wobbly moments with it after reading the appealing treatment of Amazon workers in the papers (connected, even on holiday). But I got over it. I have just received my copy of Kolymsky Heights from the library after putting in my order the day David put up this blog post. My first impression is that the font is very small. How did students get so easy to offend?